Germans are renowned for being über-efficient, so it's no surprise that they've figured out an über-efficient way to park cars -- using robots! And lasers! 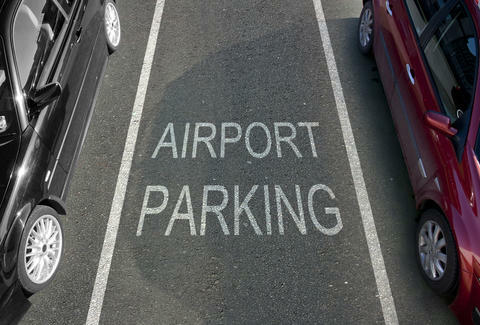 This week, Dusseldorf Airport rolled out a new automated valet parking service that not only finds your car a space, but parks said vehicle in it. All while you make haste to the airport bar. — Milenio.com (@Milenio) June 23, 2014 After scheduling the valet service via smartphone (it runs about $39 a day), travelers simply park their locked cars in one of the airport's allocated "futuristic transfer boxes". The aforementioned lasers then detect the vehicles' dimensions -- taking into account the placement of the mirrors, wheels, and bumpers -- before turning over the actual parking to a valet robot named Ray who will never, ever ask for a tip. Although it still wouldn't hurt to say thank you. From there, Ray uses wheel-gripping fork lifts and an ability to spin 360-degrees to move the cars into one of 249 designated spots, and position them ever-so-perfectly to avoid scratches and dings. Don't believe it? Still think the dude who parks your Neon at the Cambridgeside PF Changs would do a better job than Ray? Take a better look at him in action below. Chloe Pantazi is an editorial assistant on Thrillist's travel team. She really could have used Ray's help that one time at Heathrow. Follow her totally fitting into that parking space on Twitter at @ChloePantazi.